Just before Thanksgiving, Governor Tom Wolf announced an investment of $50 million for 280 projects across Pennsylvania that will create new recreational opportunities, conserve natural resources, and help revitalize local communities. The city plans to construct a new skatepark with the help of a $300,000 DCNR grant. In addition to the skatepark grant, projects in Lehigh County will receive more than $1.29 million. The township will receive $25,400 to acquire about six acres to be added to Quincy Township Municipal Park. The grants include improvements to War Memorial Park and Creekside Park in Bradford County, and an addition to the South Williamsport Community Center Complex, and further development of the Loyalsock Community Recreation Center in Lycoming County. The next phase of the Westmoreland Heritage Trail, connecting Murrysville and Export, is projected to be complete by summer 2019. After a $320,000 DCNR grant, the next 3.4 miles of trail are now fully funded. 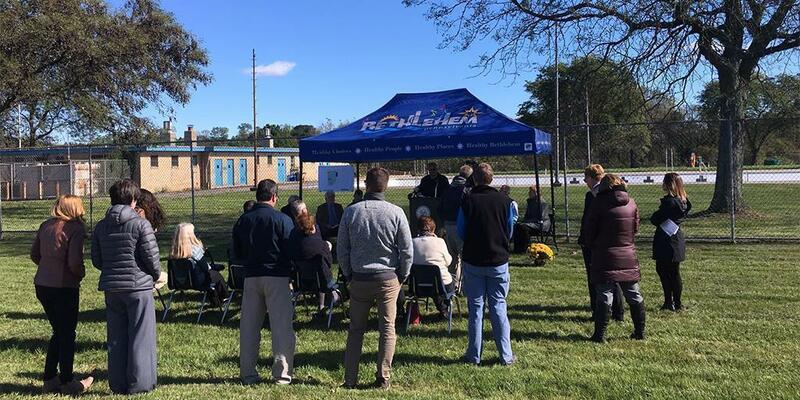 “DCNR announced that they had selected the City of Butler for a $40,000 grant to be part of the Rotary project to fix up the Memorial Park,” Butler City Councilman Jeff Smith said the day of the announcement. The AM Rotary is currently fundraising roughly $100,000 to replace playground equipment and renovate. Smith wanted to make sure that credit for putting the grant application together was given to Butler County Parks Director Lance Welliver, as well as the County Commissioners and the AM Rotary group. The Nittany Valley Joint Recreation Authority will receive $334,800 for repairs to this Bellefonte neighborhood pool. “That’s certainly good news,” Authority chairman Michael Bonchack said. “The pool was built in 1971 ... and it’s a mess. There was just all kinds of problems. There are major water leaks.” Without the help of the DCNR grant, he said, “The pool was going to close.” Kepler Pool welcomes about 7,000–10,000 visitors every summer season. The Lake Erie Region Conservancy will receive $460,900 to help acquire about 182 acres in Girard Township for habitat protection and public access to a portion of Elk Creek. Waymart Borough will receive a $215,000 grant for the rehabilitation and further development of Waymart Sports Complex. Work includes renovation of concession stand and baseball field; construction of pedestrian walkways, dug outs, press box, and parking area; and storm water management measures. Additionally, more than $2.1 million is being provided to Heritage Areas for projects including advancing river and trail towns, closing gaps in Pennsylvanian’s destination trails, developing heritage tourism initiatives, improving educational and interpretative signage and planning, and marketing heritage tourism events. Funding for the DCNR grants comes from the Keystone Fund, which is generated from a portion of the realty transfer tax; the Environmental Stewardship Fund; the ATV/Snowmobile Fund generated through fees for licenses; and federal monies including the Land and Water Conservation Fund. A complete list of grants (PDF) from around the state is available on the DCNR website.